Vinegar is a liquid consisting mainly of acetic acid and water. The acetic acid is produced by the fermentation of ethanol by acetic acid bacteria. Vinegar is now mainly used as a cooking ingredient, but historically, as the most easily available mild acid, it had a great variety of industrial, medical, and domestic uses, some of which (such as a general household cleanser) are still promoted today. Vinegar is a weak acid. History goes back to Hippocrates' time when it was used as a medicine and antiseptic. Here are some areas that can help you by using vinegar in your health. 1. Insect bites or stings will be soothed quickly by pouring vinegar on it. 3. If you drink a teaspoon or so of apple cider vinegar in a glass of water to help with digestion, bowel function, cholesterol, and even preventing ulcers. With the latter you might have to help a little with the stress of course. 4. Salicylic acid is what you use on warts. Vinegar is acetic acid and works in the same way, however more gently. 5. 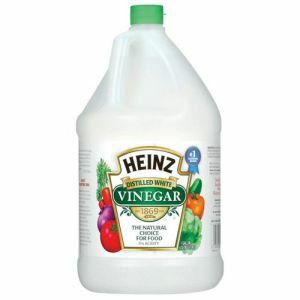 Just 5% of vinegar mixed in a solution of your choice, can kill 99% of bacteria, 82% of mold, 80% of germs (viruses). 6. A teaspoon or two of vinegar will cure hiccups. 7. Two teaspoons of apple cider vinegar and honey mixed with enough hot water to melt the honey has been known to help with headaches and weight loss. 8. Bathing in some apple cider vinegar can help with urinary tract infections. 9. Apple cider vinegar has helped skin conditions from eczema to aging brown spots. 10. Apple cider vinegar helps fight against food cravings.